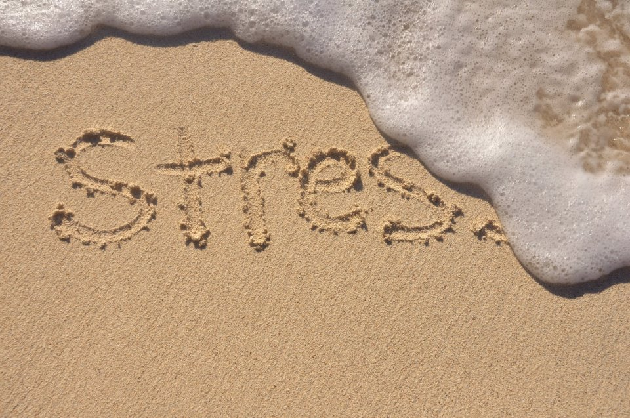 This is the second part of my post on therapeutic fast. I have covered in my earlier post on Fasting 101 – what it is about and why we should perform fasting as part of our Rheumatoid Arthritis treatments program. 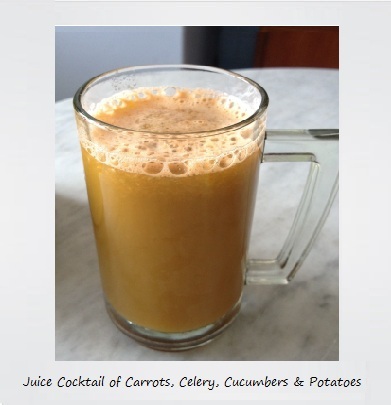 In July (2012), I embarked on my very first 11-days therapeutic juice fast. In this blog post, I will recount the highlights of my fast and the incredible impacts that came out from this 11 days program. 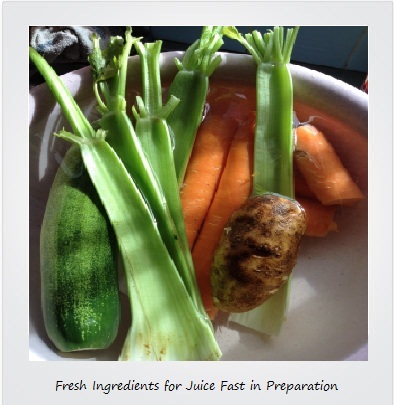 The following juice fast daily plan is core to my therapeutic fasting program. Additionally, I’d also practiced a number of methods enhancing detox into my protocol and I deem these key components crucial for reversing my arthritic affliction and restoring a satisfactory degree of bodily movement, health and wellness. 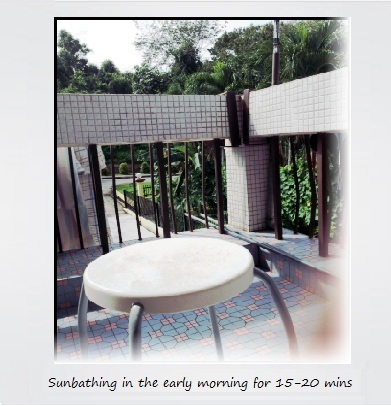 (1) Daily sunbathing – Allowed early morning sunshine to hit on my bare skin for as long as 15 to 20 minutes each day. This is a great and most effective way of manufacturing Vitamin D which works well with iodine, magnesium and thyroid glands for utilizing calcium properly and effectively. (2) Daily gentle massaging and range-of-motion exercising – Gently massaged affected arthritic skin surfaces and joints daily, anytime desired. With my everyday shower, I also performed light joint rotation exercise on my wrist joints under warm/hot flowing water to improve my range-of-motion. On some days, I performed muscle group tensing and relaxation, where I performed up to 3 cycles of tensing a group of muscles for 5 seconds and relaxing for 10 seconds. (3) Daily skin brushing – Before taking my daily morning shower, I will do a quick 2 to 3 minutes dry brushing with soft natural bristle. 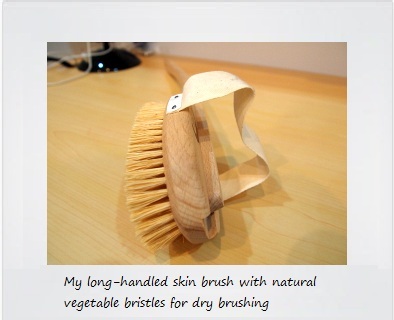 Dry brushing helps to remove dead skin and urid acid crystals from the skin. (4) Daily positive affirmations – I repeated the following positive affirmations many times daily to strengthen resolve, courage and the tenacity to complete my intended fast. I juiced the raw potatoes separately and let stand for 5 minutes in a bowl and pour the juice into a large pitcher. Any hardened starchy residue left over was thrown away. Then, I moved on to juice the celery, carrots and cucumbers. After straining away the juice, it was added to the raw potato juice in the pitcher. Stir and mix the juice with tepid distilled water in a glass and drink slowly. A rule of thumb is 1 ounce of juice to 1 ounce of tepid distilled water. I must emphasized using a good juicer for making the green juices. This ensures that the live enzymes and all vitamins, minerals and phyto-nutrients of the juice are not broken down by the rapid blending process of a normal blender. I started my elevan day juice fast with my first “juiced” meal and my goal was to make it through the 11 days. “I must do it and I can make it,” I told myself but announcing my resolve to my whole family made it something that I could not turn back. I let my fears all go and drank my very first juice. Yes, the challenge started. I somehow made it through the first day and first night well. I did not dare to step out of my house because I did not know what I would feel in the coming days. I remembered how books have described that the first 3 days will be the most difficult time for fasting. I was totally off any RA medications during my fast. At the beginning of the day, I was still feeling all excited and challenged. But as the day progressed, I started to feel hungry and feeble, not even wanting to move much. Sights of foods still tempted me to a certain degree but my emotions and determination remained strong. Joint pains crept into my left foot and both my wrists and I experienced stiffness all over my body. 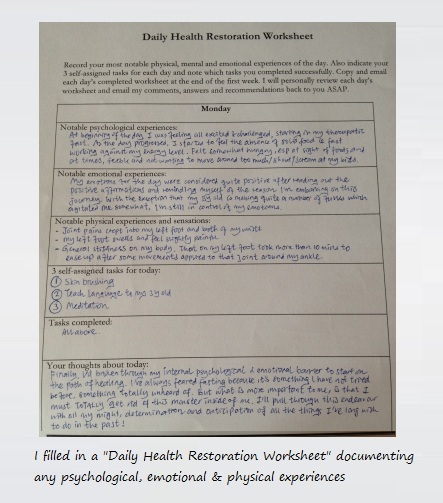 Nonetheless, I made sure that I stayed mentally focused on my goal, completed my daily health restoration worksheet and completed three self-assigned tasks. Yeah, I did it, and that was how my first day passed. My mind and body were in active revolt against what I was forcing myself to do. My tummy seemed to grumble all the time and I still had very strong craving for solid food. I still experienced those familiar stiffness and pain throughout the joints but took a while for the stiffness to dissipate. For the pain, I made myself some alkaline potassium broth and drink it from time to time when pain became quite unbearable. On the bright side, I noticed that I have started to shed quite a bit of weight. Shame to say that I was really overweight for a long time, I was glad that I could finally take this opportunity to get back my pre-pregnancy weight again. Except for a few episodes of fainting spells now and then, the rest of the day passed uneventfully. I had made it through 48 hours without solids. On the 3rd day, I no longer felt that the second hand of the clock was crawling away and I did not need to distract myself with things so that I did not focus on the hunger. I wasn’t imagining thing but my tummy wasn’t grumbling anymore even though I could still be tempted by food sometimes. I was starting to feel good because I was feeling less pain and I was losing weight. Physically, I did not have much complaints and felt good after every enemas! The swells on my left foot had subsided somewhat and walking longer distance had become bearable for the first time since ages. Looking back, I knew I was going to succeed, I had made it through day three! The remaining of the juice fast days were pretty much easy rides after going through the difficult first 3 days. My body was completely broken of its craving for eating food and feeling a tons better. I felt more energized, to my surprise. I started to want to break free from my home cage and cruised around for some days. Pains, swellings and inflammation had calmed and subsided and my range of motion was slightly increased. I wanted to enjoy this new-found health and energy by using them. 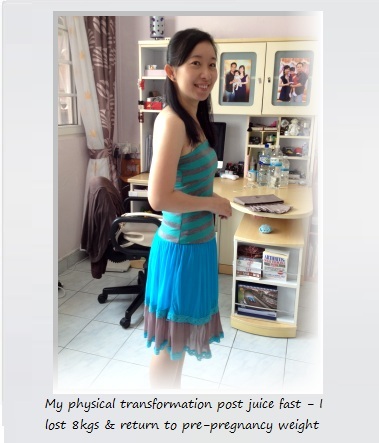 I felt that I could nourish myself indefinitely even when fasting by juicing. Uneventfully, I sailed through all 11 days successful and with great results! I thought a lot about this and the very best part of the juice fast was an incredible transformation at the end of the fast. I lost 8kgs in 11 days, my swellings on my feet subsided, the screaming pains of my joints were gone and I felt incredibly well and healthy with a clear mind, confidence and focus. And it presented itself as an opportunity to alter and comply myself to a healthier and sustainable dietary and physical lifestyle. (1) I should have done a longer fast, say a 30-days fast, instead of an 11-days fast. I have not fully reversed my RA and could this be the reason why I did not reap the benefit of a longer fast? And because I did not allow enough time for the fasting to perform its very cleansing of the very last layer of toxins within my body and cells? Would my RA be gone if I have insisted on a longer fast? (2) I could have done better with my fast breaking and transitional diet. 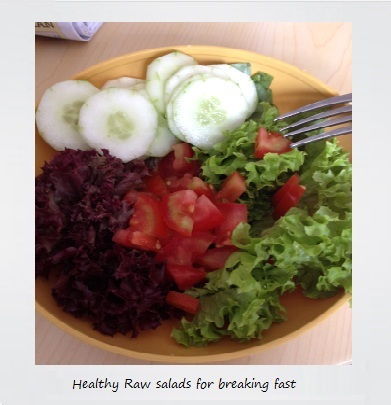 I followed the next 3 days breaking the fast with raw salads, comprising tomatoes, romaine lettuce, green and red leaf, avocados as well as cucumbers and a transitional diet that comprised brown rice with sesame oil, pineapple juice, mixed vegetables and everything healthy (with no meat proteins). Yes, I know the diet sounded healthy but unfortunately, before long, the inflammation, swelling and pain found themselves back to my joints. What had gone wrong with this diet? I could not understand then but now, I do. It was not the diet that went wrong but my approach of reintroduction of food was wrong. There is no fixed diet menu for an individual with RA because we are suffering from different allergies or food intolerance. My diet would have worked very well for many perhaps, but it did not work for me because I am actually allergic to rice, sesame, pineapple, and many foods that I put myself in for the diet. For those of you who read this and intend to try out the therapeutic fast, you must know your allergies for starter and you can do this by performing an ALCAT test. Or else, upon breaking fast, you can reintroduce food one at a time. Eat the same food for a few days and if there are no negative reactions, it may be safe to assume that you are not allergic or intolerant to the food. Continue this until you have a list of safe foods and start eating this diet on a four-days food rotation, meaning to say that the same food cannot be consumed over the next three days. I also juiced which was great. 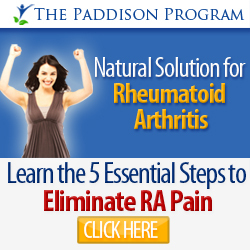 Besides losing 18 pounds in 14 days, my energy levels were increased and RA symptoms reduced. Diagnosed in mid 2011 I quickly began drinking greens and balancing my pH. Symptoms remained marginal and I did not stick to my pH regimen as I should have. My juicing included the following: Everything juiced or puréed consisting of cucumber, spinach, avocado, celery as a basis. Soups (warm only) made via Vitamix made of veggies. Important is the use of sodium bicarbonate 3 times a day as well as good structured water and good oils. Dry brushing, Epsom salt baths, clay, and D3 (50,000 units daily). Keeping open ALL channels of elimination is VITAL (urinating, pooping, sweating, and deep breathing) as well as hydro profusion of all tissues. I do not take meds although I have taken methotrexate, Motrin 800 mg, Voltaren, Flexeril, Mobic, and more. I drink aloe vera twice a day, drink juiced greens, my favoritte avocado shakes, regular colonics and massage, sauna, and daily exercise including daily sunshine. I avoid allergic foods including all dairy. I took the ALCAT test and rotate what I eat and avoid foods even marginally sensitive to. My reasoning is “food or pain and disability?” I happily choose foods that will provide nutrition and energy as I have experienced unrelenting pain where I could barely make it to the bathroom and then when I got there could not lift up the seat cover due to excruciating pain in both knees and feet and both hands! I too am on my journey free from RA!!! IT FEELS GOOD TO FINALLY FEEL GOOD!!! Hi Margaret, I’m so happy to know that there is another person doing almost exactly the same thing as I’m doing; and experiencing marginal symptoms. How long have you been following this protocol for? Have you redone your ALCAT and see whether there are any changes in the blood test? It comes to my knowledge that if you strictly avoid the food allergens for 4 to 6 months depending on the severity, you may no longer be sensitive/intolerant to the particular foods allergens. And have you achieved clinical remission as of writing? Anyway, thank you for sharing. I’m hoping your experience can provide motivation to people to take ownership of the health in the holistic way. I do hope that you’ll achieve full remission in no time 😀 Best wishes, Diana. This is great. This is the first post i have found pertaining to Juice Fasting and Arthritis…. How much did the pain ramp up in the initial 3 days of fasting? was it manageable or worse than what you were used to? Were you able to do a reduction in the meds you usually take to manage the RA after the juice fast completed or did you stay off them altogether? What meds do you take for the RA? For me, the pain did ramp up quite a bit during the first 3 days but it’s more of the hunger pangs that got to me. Lol. In my opinion, it really depends on how bad the pain had been bothering you before you started the juice fast should you were not taking any meds at all. Are you taking meds while fasting? My pains are manageable. I actually had high hopes for what juice fasting can do for my RA but sadly, the pain returned after completion of the program. I guess, the very one mistake that I did not follow through is to perform an elimination diet. I was following through a set of planned meal that was not personalized/individualized in the first place. I did not have the knowledge back then that everyone is allergic/intolerant to different things, and the meal plan must be individualized. It was a learning process. Don’t you agree? At this moment, I’m not taking any RA meds. I purely manage my condition naturally. me too! Thanks for a great article and sharing your experience….I have been weaned off all RA meds including NSAIDS, methotrexate injections, prednisone for 17 month and now only use anti-inflammatory diet, juicing, coffee enemas, which are amazing for pain and detox, and several different supplements…multi vit, E, calcium, magnesium, Vit D 2000-4000 daily, fish oil 4000 a day, digestive enzymes with meals….I also take WOBYNZYMES in the morning and before bed (proteolytic enzymes to keep undigested proteins cleaned up in the blood, reduces inflammation) and every morning for GUT HEALING I take 1 heaping tsp of powdered glutamine and 1 heaping tsp of powdered vitamin C in my juice and take a carnosine for esophagus healing…I had a lot of bad tummy and reflux from methotrexate…but it is now gone…. 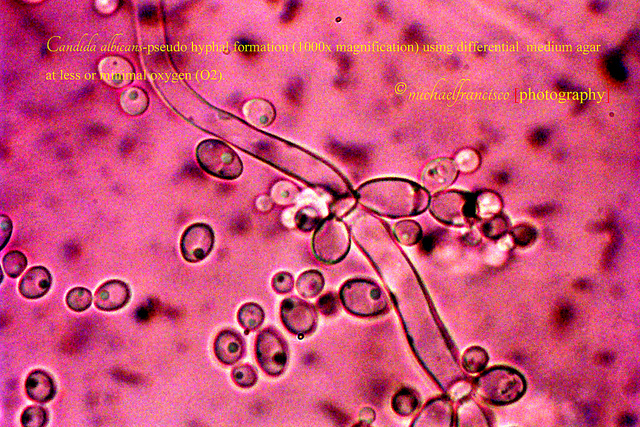 ASLO just found that a good REFRIDERATED, ENTERIC COATED, PROBIOTIC of 100 billion dose that has mad a big difference…getting good bacteria in gut up and bad bacteria down is key…It’s by Natures Way Primadophilus Optima. Thanks again, keep sharing. Karen, I’m so thrilled to know another person going on similar protocol to myself in managing our RA. So, do you consider yourself to be in remission? I’d listed my protocol in the ‘About Me’ page. Basically also good quality food based multi v & minerals, Vit D, fish oil, turmeric, sulfur, dig enzymes, vit c, HCL, enema, l-glutamine, etc. I tried to order in wobenzymes which is apparently very good but my order was confiscated by my country’s custom department. Probiotics, I’m using Natren’s. I’m giving Natures Way for my kids, alternating Natren and Udo Choice. Thank you for stepping up and sharing your story. Appreciate much. Thanks for that Karen…I too came off my meds after18mths of takingsulfasalazine ,mtx, co-drydramol etc….I did Joshi’s Holistic detox for 3 weeks full on then 2 mths half Joshi’s half normal food and I lost 15 kg and felt really great…but like Diana I did not check which foods I am alergic too so although my feet are not swollen or painful anymore my fingers and wrist are….so going to try some of what you have said and a juice detox!!! Hi! I have been diagnosed with RA 18 months ago and started looking into nutrition straight away. I did take an IgG food antibody assessment so I am not sure if it is as good as the ALCAT test? The results did not show any allergies or intolerance (a small one to cane sugar) and with the results they did give me a 4 day rotation food diet. The situation now is that I had to take steroids as I could barely move, back on MTX and back on painkillers…so I am still happy I tried the juice fast but it would appear that I maybe stopped the medication too early and should have continued with the new diet and juice fasting while taking meds. You are lucky to manage your RA without meds but I am not sure it would be the same for everyone? What are your thoughts on this? I have read all your blogs and they are very interesting, thank you for sharing! It is quite funny as I had already tested most of the holistic things mentioned but it’s nice to know that I am not the only one looking for a natural to deal with RA 🙂 I also read one of you blogs in which you say that we need to maybe think twice before stopping any meds as this could have some repercussion on joints and disease progression, so maybe a compromise between meds and natural is the best to try first and when we are comfortable with the level of pain/or if this has stabilised, maybe we can thing of reducing the meds? 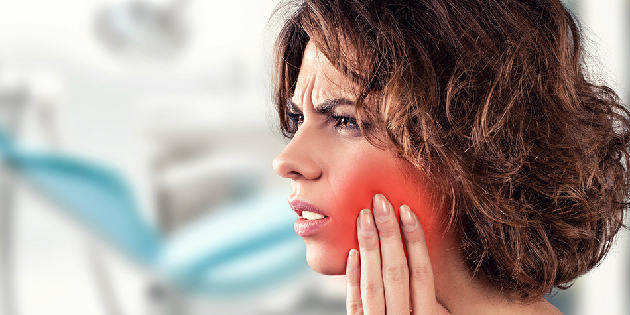 What are you doing now to control your symptoms and pains naturally? Hi Helene, what a coincidence. I too did an IgG intolerance testing some months back, during which time I was also struggling to bring down the inflammation and had little success. I wanted to have a second opinion from another food sensitivity/intolerance test to allow me to study and make comparisons on the food-caused inflammation for my own specific situation. And just like your result, it suggested I was only barely/slightly sensitive to all categories of foods tested under the food panels except for brewer yeast. I was honestly disappointed with this result because this was definitely not true. If one were to ask me if he/she should follow the recommendations, I would not suggest so because I’d actually lost confidence in the finding/result. Alternatively, I found ALCAT to be more accurate though not 100% but good enough on many levels. For many of the foods items which had been detected under severe sensitivity category, I can resonate well with why these food items appear in those category. On a side note, certain foods may appear as ‘safe’ to eat are actually not. The reason why this may be so may be that you do not or have not been taking that food item(s) say for a duration of period and hence, the blood test may not be able to detect them. I tend to believe that the withdrawal of meds need only be done with proper care and over time. The process must not be rushed and in a more systematic fashion in the sense that you need to keep track of your blood work, and a record of how you feel on certain diets and the dosage of meds. Meds are usually reduced gradually, first by dosage from high to zero, then work towards reducing the number of meds to be taken. It will be best if your doctor/rheumy is open enough to work with you on this. If you reduce certain meds, or eliminate certain med, and find that pain is creeping back, that means that your body is not ready for that reduction. Usually, in this case, it will also mean that on holistic approach, you need to tackle one or more things before the shift can take place. It may be the herxeimer reaction (healing crisis) that is taking place during the fast/detox or it may be that you need to stay with clean diet/lifestyle and constant detoxification efforts (enema, heavy metal detox, skin brushing, exercise, etc) for several months until such point that your body is ready for the fast and to get through the negative reaction from the fast/cleanse/detox. Yes, on that particular post on not quitting med too soon while approaching the natural treatment modalities is my take on how a person should not rush through the healing process. It takes me the lesson learned to understand that we have to tune in to our body and listen to it. 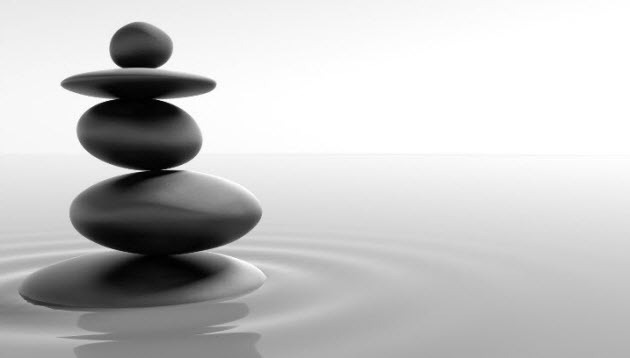 Healing takes time and understandably, we wouldnt want the side effects of meds in our body, but it is important to also understand that before we can find out/detect the root causes of the RA condition, we should not withdraw meds immediately because it will risk progression of degeneration. Some meds like MTX are slow acting and may take months before the effects can actually kick in. Therefore, if it had been stopped without properly reviewing the whole circumstance surrounding the health, there are dangers that when re-introduced, they won’t work the same anymore. They may be ineffective and then you may need to be forced on more toxic drugs. Such a great blog. Thanks for sharing! 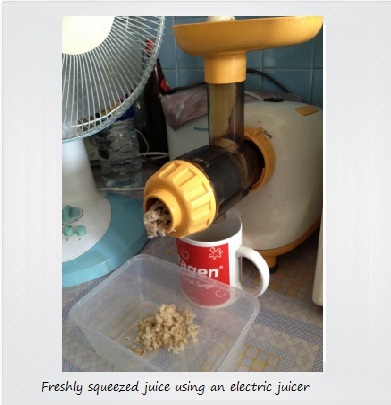 Can you use smoothies during the fasting period or do you really need to use a juicer? Or maybe a recommendation for a decent,well priced one? Hi, I don’t know if you’ve gotten any recommendation s on a juicer yet, but we just ordered a black & decker 400watt juicer from amazon for less than 30 dollars. 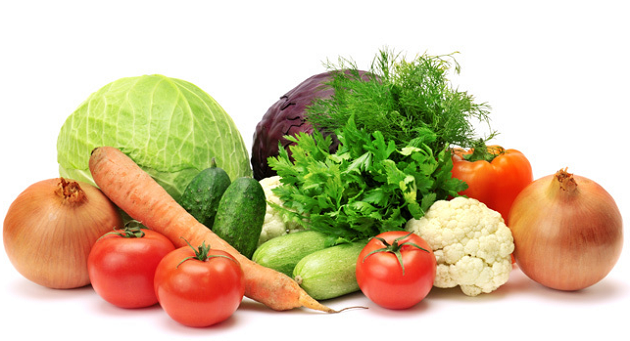 It has many 5 star reviews, and we’ve already used it to make fruit and vegetable ( including. Carrot) juice. I love it. Its my first juicer, and got it because I am starting a raw and juice diet. Someone said they have usd theirs daily for 6 months and still works great, so not bad for 30 bucks!